Do I have port forwarding problems?!?? Service Status: ERROR everywhere!! 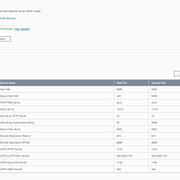 I have UPnP enabled and as you can see and my router supports UPnP, and from my router side (in its port forwarding page) everything seams OK. I know that I should NOT use UPnP, but before disabling it and do port forwarding manually, I'd like to understand what is wrong here. Regarding the myQNAPcloud access from outside, I can't access by mynas.myqnapcloud.com link but I can access successfully from https://www.myqnapcloud.com/u#/my_device link ...and I can't understand why all this!! Is it supposed to be like that even with all these "Error" statuses?? What is happening?? I'd like to activate QVPN, but I don0t know if I can procede or first solve some issues. Is this ok or I even have to fix this?? There is a Chrome extension that fixes that, but is it really necessary?? 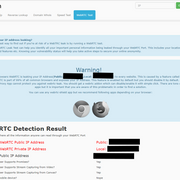 Re: Do I have port forwarding problems?!?? Service Status: ERROR everywhere!! Manual Forwarding...but I should do one for each port? I'm getting an error while trying to create a port-forwarding. Any helpful guides in how to do a proper job, would be really appreciated! what error is your router throwing when you try?